NBA Rumors: Rajon Rondo to Knicks, Lakers or Rockets? The New York Knicks are 5-14 through 19 games this season. It is safe to say that they won’t be winning a championship at any point in the foreseeable future. The Boston Celtics, thanks to the fact that they play in the Eastern Conference, are 10-12 through 22 games this season. It is safe to say that they won’t be winning a championship at any point in the foreseeable future either. New York finds itself at a bit of a crossroads right now. Carmelo Anthony has the option to skip town this summer, and if Knicks brass doesn’t promise to upgrade the roster, that’s exactly what he’ll do. At the same time, it is beginning to look as though Anthony is incapable of being the centerpiece of a championship team. If this is in fact the case, then it would make sense for New York not to give him the richest deal he can possibly get, and simply let him walk. According to early reports, the Knicks want to keep Anthony. And because they want to keep him, they are going to have to bring in at least one more star. In a report from ESPN this weekend, it was noted that Anthony is working hard to recruit Rajon Rondo. Rondo, 27, is still recovering from torn ligaments in his right knee. However, given the current trajectory of the Celtics and how clear it is that the franchise will be in rebuilding mode over the next few years, he has become the subject of a lot of trade speculation. For what it’s worth, Anthony isn’t copping to recruiting him. "C&apos;mon, man,” he replied when pressed on the matter by ESPN. “In my book, that&apos;s tampering." If that didn’t sound like a “No, I’m not recruiting him,” it’s because it wasn’t one. Other teams that have previously been mentioned as darkhorses in the Rondo sweepstakes are the Los Angeles Lakers and Houston Rockets. The former has nothing of value to offer Boston, so that move is unlikely. The Rockets could offer some combination of Omer Asik, Jeremy Lin, and the absorption of Boston’s bad contracts, but so far neither side has expressed much interest. NBA Rumors: Lakers Considering Trading Pau Gasol to Celtics for Rajon Rondo? NBA Rumors: Would Rockets Trade Jeremy Lin to Bobcats, Celtics, Hawks or Lakers? 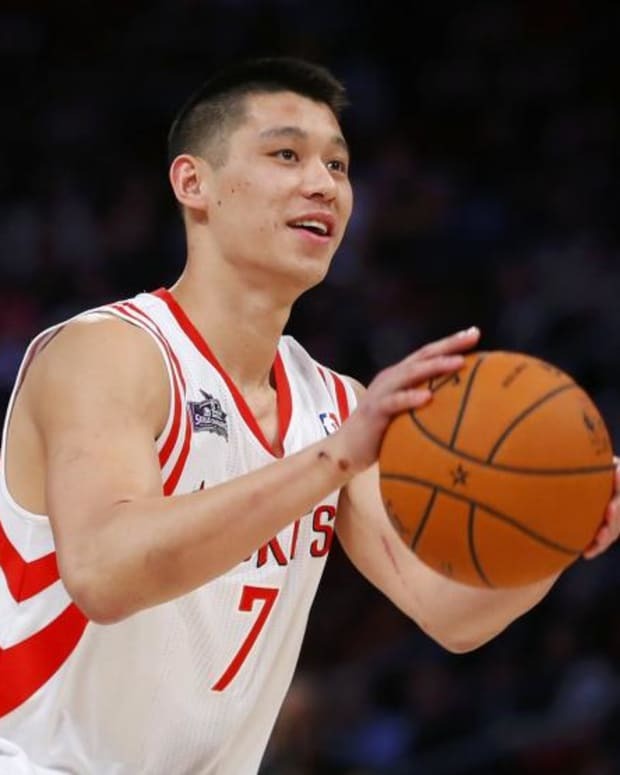 NBA Rumors: Jeremy Lin and Omer Asik to Celtics, Rajon Rondo to Rockets? NBA Rumors: Pau Gasol for Rajon Rondo Trade Between Lakers and Celtics Still Possible? NBA Rumors: Lakers, Knicks Discussing a Pau Gasol for Iman Shumpert Trade?